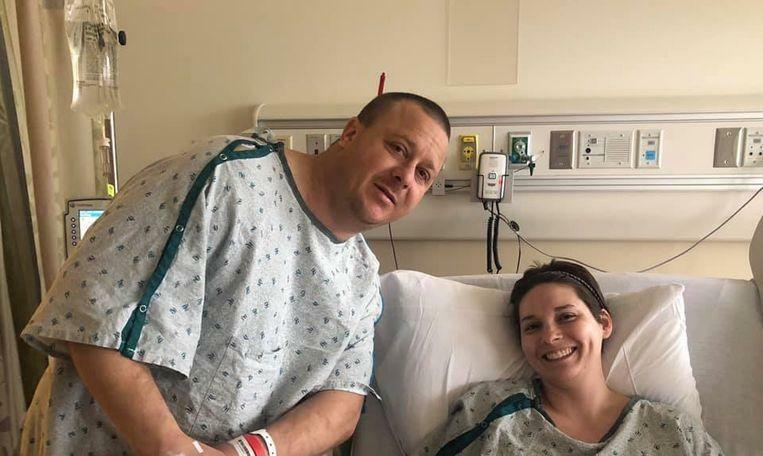 Abbie Dunkle (35) from Illinois decided to donate her kidney to save the lives of Ryan Armistead, a 33-year-old police officer from Missouri, who was completely unknown to her until then. She had seen on Facebook that he was looking for a donor, and in the same way she also let him know that she would be. 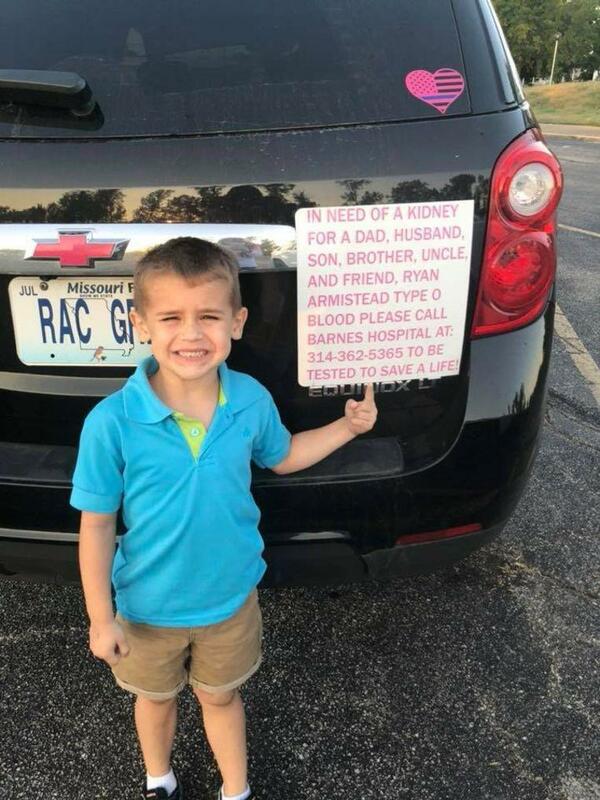 Ryan Armistead, dad of five-year-old Gregory, was told four years ago that he suffered from a rare autoimmune disease, a kidney filter inflammation known as Berger’s disease. As a result, his kidneys were damaged to such an extent that, according to the doctors, he needed a kidney transplant. Armistead’s wife Jessica immediately went looking for a donor and set up a Facebook page. She called for possible candidates with blood group O to get tested and to check whether or not they would form a match with her husband. ©Ryan Armistead – Jessica Armistead tried to find a donor for her husband via social media. Their son Gregory also campaigned. 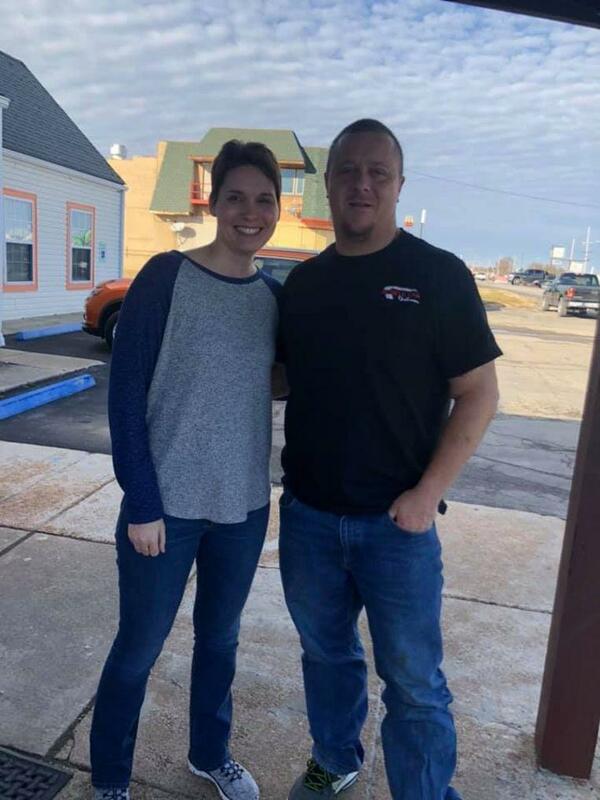 Abbie Dunkle, a mother of two children, always wanted to donate her kidney, to help someone out of need. She saw an opportunity to donate her kidney, when she heard the story of Armistead through the regional press. “It was something that I thought: ‘just let me call and see where we come from’. He has a five-year-old son, about my son’s age,” says Abbie Dunkle, who accepted to donate her kidney. With the support of her husband Steve she contacted the hospital, she was tested in December and turned out to be a match with Armistead. She even set a date for the operation, even before sending a message via Facebook to Ryan Armistead. ©Ryan Armistead – Donor Abbie Dunkle with Ryan Armistead.